Thank you for your interest in OT Academy. Complete this form to begin your new teaching and facilitation journey. We are devoted to providing accessible, affordable, and quality educational experiences to our students. We are glad you want to support the cause. Fill in all required form fields. If a field does not apply to you. Then type the letters NA. By completing this form, your rights as faculty, are protected under the Family Education Rights and Privacy Act (FERPA). To learn more visit, the U.S. Department of Education FERPA website. We accept applications for new adjunct faculty continuously throughout the year during each quarterly enrollment cycle on a first come first served basis. To learn more, review our Open Enrollment Policy. This application has four sections Personal Information, Education Information, Employment Information, Program Interests, and Outreach. It should take approximately 15-20 minutes to complete. This field is optional. 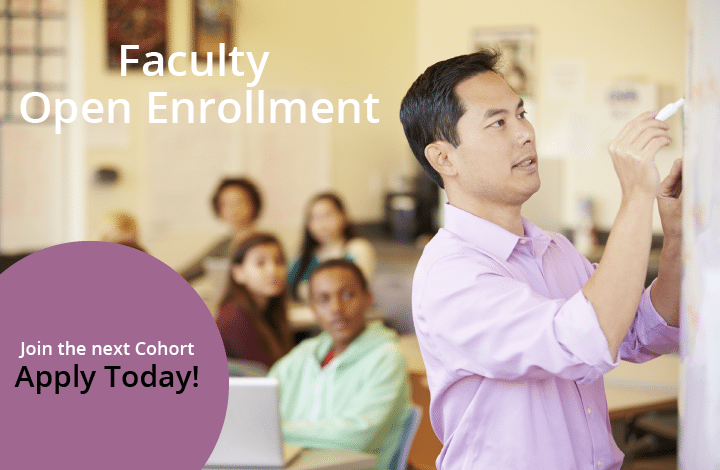 We use this information only for the purpose of tracking faculty demographics. Federal law prohibits discrimination of any person on the basis of race, religion, age, ethnicity, and sexual orientation.